According to researcher ABI, of the new OS platforms coming out this year, Tizen has the chance to crack the top 5 global platforms by the end of the year. Strong backing from partners Intel and Samsung combined with industry players who want a strong challenger to the iOS/Android duopoly give Tizen an opportunity to succeed. In Europe, carriers Orange and Vodafone both say they will support the platform. But ABI believes that Asia will be the big region for Tizen with 65% of its installed smartphone base to be in this area. Tizen has support in Asia from mobile operators like KT, NTT DoCoMo, and SK Telekom. Individually, the new OS contenders like Tizen, Firefox and Ubuntu might not generate strong numbers in 2013 alone. But together, ABI sees 135 million smartphones shipped with these new operating systems installed, over the next five years. We've shown you pictures of the Samsung Redwood, which is a high-end model that could be the first Samsung phone to be powered by Tizen. 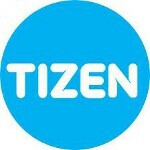 Some believe that Samsung wants to exclusively build Tizen powered phones in the future and drop Android. The OEM's success with its Galaxy S and Galaxy Note lines was said to be giving the Korean manufacturer the confidence to focus on Tizen flavored models. But some of that speculation has cooled off in light of the recent introduction of the Nexus Edition Samsung Galaxy S4 running on stock Android. GS4 users get ready for a very interesting update! yea right... that would be INSANE!!!! Dual boot with Android JB 4.2.2 and Tizen? Now THAT would be truly interesting. i want triple boot... android, tizen and wp, YEAHH!! They will probably make a Galaxy S4 Tizen edition. Nothing wrong with competition it will just encourage google to make more updates. Samsung should really not feel the need to be like Apple. Hopefully they won't think since they've sold a lot of Android phones that they should now have their own OS made exclusively for them and drop Android completely. I'm pretty sure they're not that stupid... But you never know. Who told you that they will completely drop Android? Tizen is a good OS and there is no harm in trying this OS on couple of flagships along with Android. And Samsung is capable enough to do so. I'm just basing my comment to what was said in the article. Don't get all butthurt about it. I'm done buying SAMSUNG handsets should they abandon Android and go Tizen exclusively. Now don't make any mistake here in TIZEN like BADA. Bada was a flop, I bought one and I felt bad after purchase, now i'll buy any good Android or WP or BB. What's the differentiator over Android then? Less lag? Or is it just that Samsung wants full control over the OS? Bada was already incorporated into Tizen. 5th place, eh? So it's Android, iOS, WP, BB, Tizen? That's huge, man. Huge. Bigger than Symbian! !